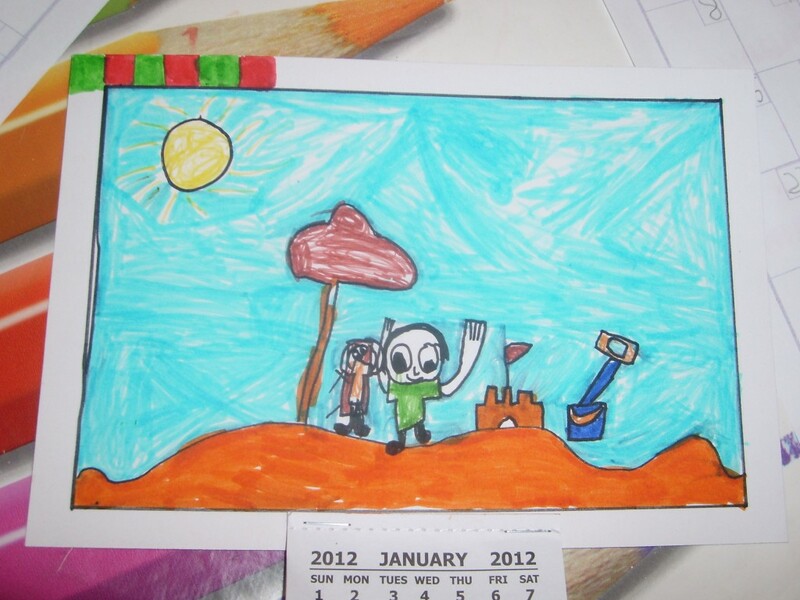 At the beginning of term P1/2 made calendars. Mrs McHugh said to the children “We don’t need calendars” True or False? 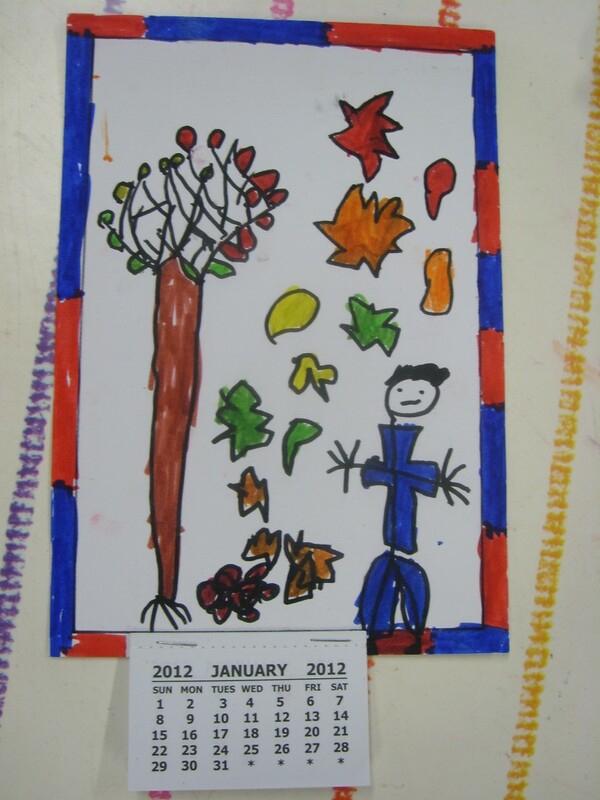 All the children picked their favourite season to draw a picture for their calendar. Everyone got a calendar page for January and had to write in the numbers of the days in January. We know there are 31 days in January. 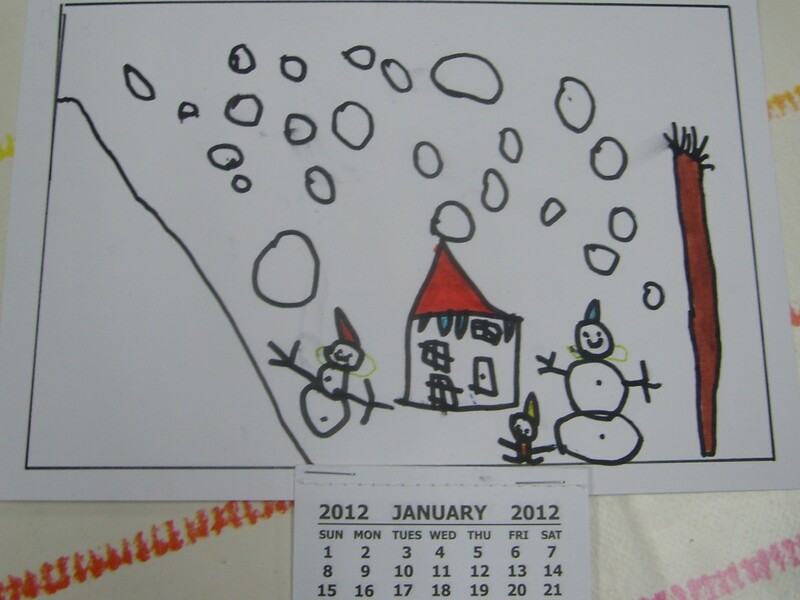 We used our calendar to find out lots of information e.g. ‘How many Sundays there are in January?’ ‘What day is the 23rd of January?’ Mrs McHugh was tickled pink with how well we all had done. 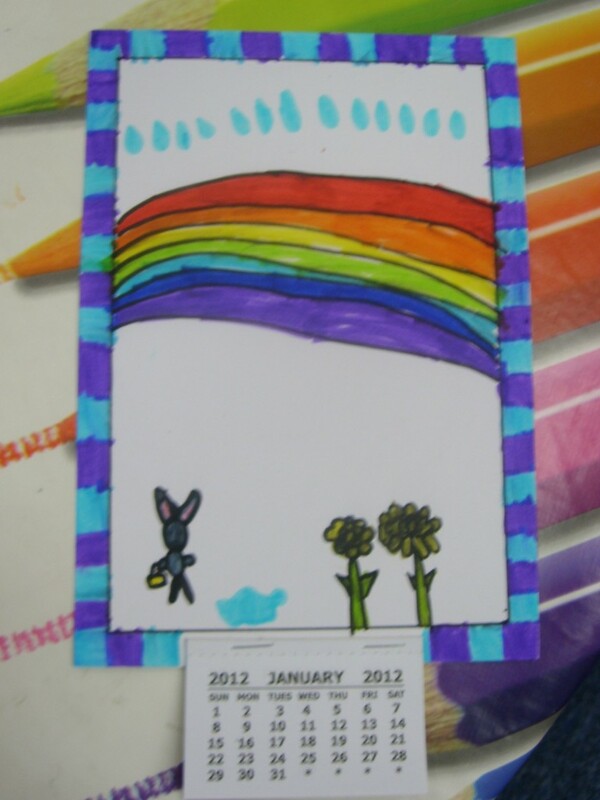 Next we put on pictures of special events we are having in school in January. We are having a Scottish week and are looking forward to tasting haggis,neeps and tatties! We have taken our calendars home to add important family dates on them. We have kept one in the classroom to countdown to our special events.